Daniel Filho’s long-running criminal case saga has come to end, following the dismissal of his indictment. DFRF Enterprises launched in mid 2014 and was primarily pitched to TelexFree Ponzi victims. The SEC shut DFRF Enterprises down in July 2015. The DOJ were pursuing a criminal case in tandem, which led to the arrest of owner Daniel Filho later that month. BehindMLM has extensively covered Filho’s civil and criminal proceedings. the DOJ’s criminal case has been in limbo for years pending resolution of Filho’s mental health status. A conclusion to the DOJ’s criminal case against Filho was reached on November 7th, following a filing to dismiss his indictment. In support of this dismissal, the government states that the defendant has been deemed incompetent to stand trial and not medically restorable within the foreseeable future, and thus a dismissal, without prejudice, is in the interests of justice. Filho was declared mentally incompetent back in July, so we knew this was coming as some point. Comes now the defendant, Daniel Fernandes Rojo Filho, and moves the Court to enter an Order that he be released immediately from the custody of the Bureau of Prisons. The government has moved to dismiss the indictment, and there is no basis for holding the defendant any further. On November 13th Judge Gorton allowed both motions. 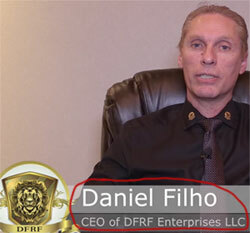 Personally I’ve never bought Daniel Filho’s mental health status. He was competent enough to run a Ponzi scheme and bilk investors out of millions. Then the FBI arrested him and suddenly Filho was a mental basket-case, unable to process the charges against him or stand trial. Still, this is what happened and Filho’s victims and the DOJ seem powerless to do anything Filho’s final swindle. It would have sat a lot better with me if Filho was remanded into permanent custody until such a time as he was deemed competent, but from the sounds of it he’s being released and getting off scot-free. Not to take anything away from mental health issues but that’s a pretty disappointing outcome. On the flip side, on November 14th the SEC filed a motion requesting their civil DFRF Enterprises case stay be lifted. A decision on the motion is pending. Update 22nd November 2018 – The SEC’s DFRF Enterprises case has been reopened as per a November 19th order. Oz.. There is no such thing as fake a mental health. Even in USA, as I see, it is extremely HARD to fake it. I can easily understand their mental health deteriorate when he was arrest. Even normal people will be affected. But this is not a free jail card. I don’t know what will happens, but he will need a lot o doctor and medicine. By the way, what was their problem? Bipolar Disorder? Schizophrenia? Oz.. There is no such thing as fake a mental health. I agree there isn’t but just that this particular case doesn’t sit right with me. As I understand it Filho was on drugs prior to arrest. It’s just far too convenient for mental issues to pop up post-arrest to avoid prison time. As far as competency goes, from what I read it covers not being able to process the case against you. So just sit in a corner rocking back and forth with your hands over your ears every time the subject came up? Filho already has the skeletor look. Cough up some toothpaste froth for dramatic affect and who’s going to be the wiser? He hasn’t been declared mentally insane, just not competent to stand trial. The SEC will strip him of assets so it’s not like Filho will be living in luxury (no more gold lambos), but I still feel it’s a weak sauce outcome. Article updated with reopening of SEC case as of November 19th.